There are total 70 vector icons in 64, 128, 256, 512px size. They come in AI, PSD & PNG format. 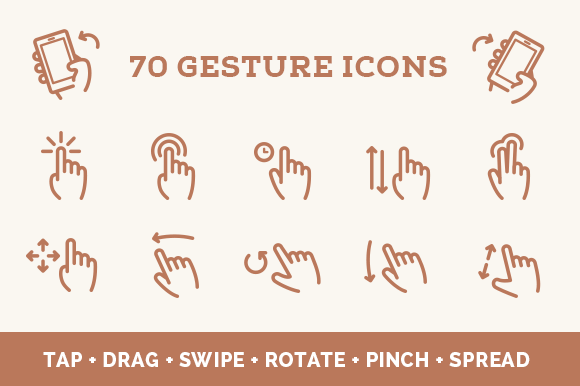 Gesture Vector Icon Set includes common touchscreen interactions such as Tap, Double Tap, Drag, Slide, Hold/Pres, Swipe, Rotate, Press and Drag, Pinch, Spread. The Original price is $25. Opening Sale $9 for a limited time only.